Rowena Kuo, Acquistion Editor of Light House Publishing of the Carolinas and I developed a great friendshipover the years that eventual lead to my current contract.always looks casual but classy. Cynthia Ruchti always looks sharp. This is how a successful writer should dress. Ben Wolf wearing a suit. Even with his crooked tie he looks like a pro. He is the face of Splickety Publishing Group. Often people envision a writer as some shy soul who wears out-of-date clothes and blends in with the walls. At a conference be sure to project a different image. Dress for success is an old adage that still holds true. Don’t clone the look of your favorite author. Aim for conservative and comfortable. You don’t need to spend a fortune on wardrobe, but you do need to leave your lounge pants, shorts and flip flops at home. (Flip flops might be Ok at a conference in Hawaii or Florida.) Choose clothes that reflect a serious attitude. You’re at the conference to meet people, get leads and promote your manuscripts. Dress so you are approachable. Women’s business casual consists of dresses and skirts in conservative lengths. Slacks, not jeans; tops, not t-shirts; and avoid denim. If you want to pack light, think of mix and matching. Neutral shades with splashes of color. The same skirt or slacks can be paired with various tops. A jacket can be added to a short sleeve or sleeveless dress or blouse if the weather turns cool. Scarves always dress up a simple blouse and sensible shoes are a must. Jewelry is another way to dress up an outfit and give it a different look. And it may not need to be said but I will not assume—women be sure your cleavage is covered. The smile on your face and the words you share are the kind of attention you want to garner. Men too should avoid jeans, shorts and too casual footwear. Trade in your T-shirts for polo shirts or dress shirts. Ties are nice for banquets and a jacket is always a great addition to a casual slack. Jackets are optional. A jacket over a polo or golf shirt can look sharp. Dress slacks or Dockers always look better than jeans. Casual Friday does not apply to conferences. Make sure your hair is neat and your breath fresh. Altoids anyone? You can still have your own style. Some friends I’ve meet at conferences wear cowboy hats, a loud jacket or fun ties. A conference I attended a few years ago had a woman dressing as a different Biblical character each day to promote her book of women of the Bible. Some conferences also have a costume ball or a gala. Be sure to have an appropriate outfit for those occasions. Author John Turney in his signature cowboy hat. There is always an exception to every rule. Check the dress code guidelines for your upcoming conference. Most conferences have them on their website. When in doubt dress your best. What’s your favorite outfit for a writer’s conference? Don’t forget to sign up to follow my blog over at the right. 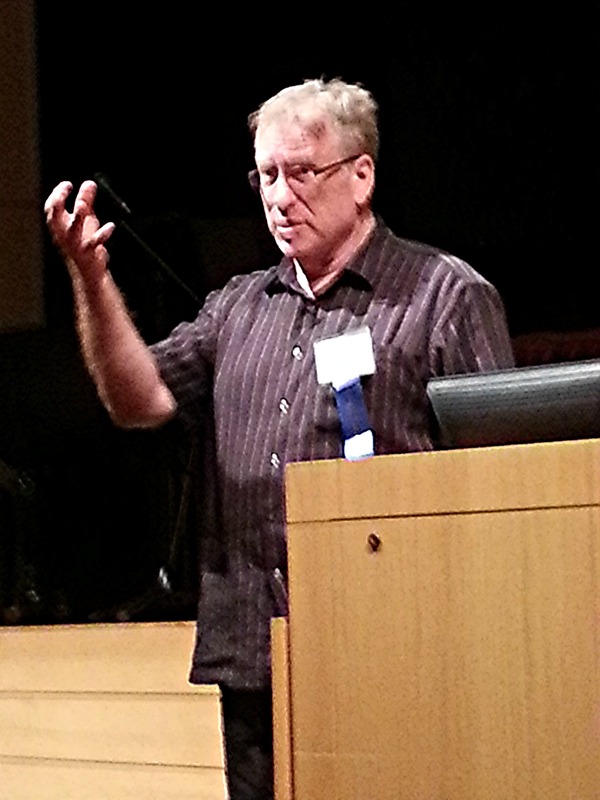 Bob Hostetler was both a general session speaker and a workshop leader for the 2013 WTP Conference. He was on my must attend list of workshop choices that year. Now you’ve got all the tools in your toolbox ready to go. Get a cup of coffee and peruse the class and workshop offering of the conference you want to attend. Think about where you are in your writing life. Newbies should take beginner classes. If your favorite author is teaching an advance class don’t go. You’ll miss the basics and be overwhelmed by all the advance material. Try to sit at your favs table at lunch instead. Or introduce yourself during a break. Stay with basic classes for better success. Is the class being offered in your genre something you need? If you’ve already attended fiction 101 in the past a few times you might want to attend a marketing class or an editing class instead. Would taking a class outside your comfort zone be good? You write fiction, only fiction. But let’s face it unless you’ve sold a lot, no one knows who you are. You might consider an article writing class. Millions of people may read an article you write as oppose to a few hundred who might buy your book. Articles help build your credibility as a writer. Non-fiction writers might find help with creating a more interesting book by taking fiction classes. If you have a book for example about taking care of the elderly. You might consider a public speaking class to help you wade through all the steps of preparing a speech. Many non-fiction writers sell more books at speaking engagements than in book stores or online. You’ve never written a children’s or young adult book. But you might gain insights into the mindset of these age groups for characters in your adult novel. Editing classes are always valuable. No one knows everything about editing, and no one is so good at writing they need no editing. You might want to discern if this is a grammarly kind of editing class or a content editing class. Pick the one that will benefit you the most. Critique groups are wonderful opportunities to get input on your manuscript. If you are shy about sharing your work, you can take notes on those samples brought by others in the group and apply it to your own writing. Panels: Agent, Publisher and Magazine panels give great insights into what they are looking for. Every conference I come away with a list of potential articles that never crossed my mind until an editor shares a need they have. I sometimes dust off something I wrote in the past that now just might have a place based on a publisher’s comment. Workshops are usually a continuing education opportunity. Workshops are presented each day of the conference, and to get the most out of them you should attend every one. Skipping a day can leave you lost and confused. If the workshop is not what you expected, feel free to visit a different one that may be of more value. This is a good time to order the CD for the first day of the workshop you switched to. A side note: it is okay to change classes. No one will think you’re terrible. Finding your niche is encouraged. Unless you have an appointment be there on time. Take lots of notes and don’t be afraid to ask questions. If you have time to linger after class, don’t shy away from getting clarification on anything you don’t understand. Get CDs of classes you miss due to appointments or classes you want to attend that fall at the same time. Some people prefer to buy MP3s or CDs of the entire conference. If you are one who is disciplined to listen to CDs, often this is a great plan. If you never get around to listening, be honest with yourself and don’t waste your money. You might consider buying the whole set and sharing it with your writer’s group back home. This gives you incentive to listen a second time if you are not the carry-around-a-CD-everywhere-you-go kind of person. MP3s can be downloaded to any device. If you like to listen to music while you work out, listen to a conference class instead. (Just saying). Don’t skip general sessions. The keynote speakers always have wonderful insights about the writing world. And their encouragement may be what you need to step out of your comfort zone and be the writer you want to be. Purpose to get the most out of all that is offered. But if you need to skip a class to regroup or take a nap, do it. Again order the CD for the class you missed. The conference is all about advancing your writing career and learning all you can. Get lots of rest each night, and don’t worry if you can’t wrap your mind around all the information you’ve heard. You can always review your notes later. There will always be more workshops and classes than you have time to take so choose wisely. But most of all have fun! What were your favorite workshops and classes at conferences you attended? Please click the button on the right if you want to follow me. 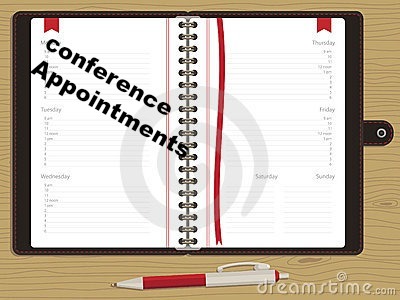 Be sure to write your appointment down on your conference schedule so you won’t forget. Being on time is crucial. All the tools I’ve talked about in the previous posts come into play here. You’ve done your research so you know who you hope to make an appointment with. Sign up for those appointments as soon as the conference leaders allow. Usually it’s after the first joint session. Or the next morning. Depending on whether the conference starts with a pre-conference meeting the night before or a morning session. Consult your list if your number one choice has no open appointments. Be prepared to make appointments with those lower on your list. Try to find those number one choices at meal time or break time. Appointments run all day. You will most likely have an appointment during a class you are taking. Watch the clock. Teachers are accustomed to students leaving for appointments or arriving late because of an appointment. It’s ok.
Be on time!!!! Can’t stress that enough. If you are late for an appointment, you may not have one. The next guy will be there for his. Or your fifteen minute time slot maybe reduced to ten to accommodate the next guy. Don’t run over. It’s not fair to the individual who left a class to make their appointment on time to have to wait for you to wind down. Being too talkative is not a good thing. You put all the appointments for this editor behind. He may have to shorten his break or mealtime because of you. Be respectful. Have sell sheets, clips and samples on hand. Leave for your appointment a few minutes early allowing you time to have the correct samples and clips you want to share. Shake their hand. Present your business card. Get down to business. If you’ve done your research you know what they want, so pitch it. Offer them your sell sheet or synopsis. Be prepared to give your oral pitch if asked. Answer their questions. Know your subject well. Please be honest if you can’t answer a question. If you have no platform, admit it. Pitch anything else you know fits their needs. Thank them for their time and leave. Don’t argue if they criticize your work in anyway. Arguing will not make them want your work. Listen to their criticism. Tuck it away. If others give you the same feedback, pay attention. The next appointment may find the editor loving every word you wrote. Don’t set yourself up for failure by getting upset over feedback. Things not to ask or say during an appointment. I feel God wants you to publish my book. I want you for my agent. God told me you were to be my agent. This is a best-seller. What are you going to do to help me get this out there? If you don’t publish my work, you are sinning against God. 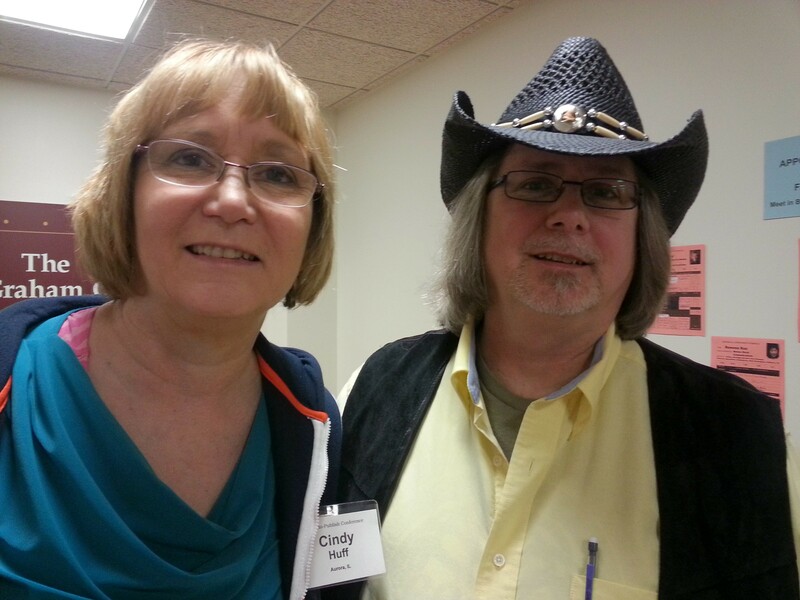 Sally Author told me you would publish my book because you are her publisher. How much will my royalties be? I know you don’t take my genre, but why not let my awesome book be your first. If they give you their business card or guideline sheet or both, don’t lose them. Take the time before returning to class or going on break to jot down notes on the back of the business card or guideline sheet. A written memory is always best. Place them in a file in your tote bag or in a sleeve in your notebook. Keep them safe. That lead is golden. Use this time to ask questions. You’ve done your research. You wondering if a particular publisher would be interested in a story idea you have. Use your appointment to pitch the idea and get feedback. Ask an agent what their job entails. Make an appointment with a writer and have him critique a piece you are working on. You might find a mentor during those appointments. During a class your teacher may also be an editor taking appointments. Any questions that came to mind in the class, you can ask during your appointment. Try to go to at least one appointment even if you have nothing to pitch. It’s a great experience. Have any appointment tips or stories you would like to share? I’d enjoy hearing them. Not following my blog yet? Sign up on the right hand column. Thanks. Practicing your writing pitch until its smooth is another key to get attention for your manuscript. Preparing and doing a pitch is probably my least favorite thing to do. I find it hard to memorize and say it smoothly. There. I’ve admitted it to everyone. I love being a character on stage. I’m pretty comfortable with public speaking, I am the one nominated on mission trips to break the ice with the natives. But giving my pitch. My mind goes blank or the pitch comes out anything but perfect. Why? No idea. Maybe unlike a play where I am another character, this statement is all about me and my work. Promoting myself is hard for me. First you need a hook—a sentence to grab attention. Characters or topic and a final sentence to bring out the response: tell me more. A pitch is a few sentences stating what your novel, non-fiction or article is about. Often referred to as an elevator pitch because it needs to be short enough to share with someone before the elevator doors open at your destination. A pitch is like an oral business card. You want to have it with you to give when you have an opportunity. The pitch needs to encapsulate your story. It should evoke questions. It should cause the editor to catch your idea, be intrigued and toss around the idea with you for a while. Spend time writing your pitch. Use words you are comfortable with. If a fifty dollar word gets hung up on your tongue use a simpler one. It should sound conversational not like a commercial. Look in the mirror and recite it to yourself until you can say it over and over again without thinking about it. If you stumble reword it so you don’t. Recite it to others—your spouse, critique group, even your dog. The more you recite it, the more natural it will become. While practicing your pitch in the mirror think of follow-up questions and how you will answer them. Formulate an answer to each one. It will boast your confidence. You will need your pitch when you have an appointment. It’s a quick way to get the ball rolling. It can lead to sharing your first chapter. When you sit at the lunch table with an editor you don’t have an appointment with, you can share your pitch. (Agents, publishers, editors expect you to pitch them at lunch.) Some will ask everyone at the table about their projects. If you stutter and ramble and backtrack, it reeks of newbie and it is rude to the others at the table who hope to share their pitch as well. If you are having a meal with other writers, ask to share your pitch both for practice and feedback. They may share their pitch with you and together you can encourage each other. Here are examples of my latest pitches. I change them every year trying to make them smoother. As I said, I struggle with pitches. I feel very vulnerable sharing them with you. They are not as stellar as others’ pitches, but perhaps they will serve as a guide to creating your own. I suggest googling writers’ pitches to find some really cool ones. Secrets and Charades finds Evangeline Olson’s shameful secret catching up with her through an unwanted inheritance. Fleeing west as a mail-order bride seemed the best solution. Jake Marcum needs a woman to gentle his tomboy niece. A female doctor is more than he bargained for and exactly what he needs. Together they must wade through secrets and a few unexpected charades to save his ranch and her heart. New Duet takes the reader on a journey of healing. After the sudden death of her abusive husband during a worship service, Isabella is shrouded in guilt and desperate to find her pre-marriage self. Wounded warrior Dan is looking for normal in a civilian world with the help of his service dog. Normal seems impossible when he’s missing a leg, some fingers and PTSD brings on panic attacks. Isabella is startled by her attraction to Dan after her late husband stripped away every vestige of Isabella’s former life including her name. Dan hopes his new normal includes Isabella in his life. I am a sandwich. My life is sandwiched between helping with grandchildren under six and parents in their eighties. Both are childlike in their responses to life. Yet, neither can be handled the same. When my sandwich is slipped into a Panini press of trials, my heart struggles to seek God’s grace in the midst of it all. None of these pitches are as perfect as I would like them. I’ll be working to make them better. But I hope the examples will help you. And if you stumble through your pitch like me, smile and hand out your sell sheet. Works for me. If your pitch results in “Tell me more,” have your sell-sheet or summary ready to pass over. Be prepared to share your first page. Bring the entire first chapter just in case. Share the completed article. Don’t ramble on about your subject. Don’t explain why it is the greatest thing since sliced bread. Again it screams newbie and unprofessional. Only answer the questions asked. Smile, be as enthusiastic as you can. If your pitch results in crickets don’t resort to filling the silence with rambling information. This rarely happens. 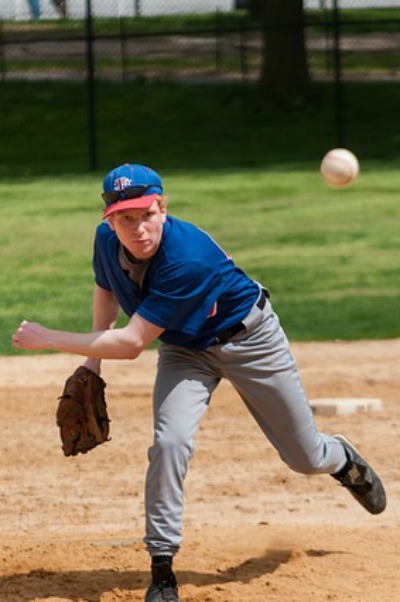 If you get less than an enthusiastic response, move on to the next pitch if you have one. Otherwise thank him/her for their time and shake their hand. Remember not everyone is going to find your pitch intriguing. But if at the end of the conference you find your pitch wasn’t achieving your goal, ask other writers for input as to how to make it better for the next time. If you have any questions about pitching your book or want to share your own success story please comment. I love to hear from readers. Subscribe to my blog if you’d like to keep following me. Look on the right sidebar to sign up. Do the research in advance. It’s worth your time. Research before you attend a conference is a huge key to success. Go to the conference website click on each faculty member, agent, editor and publisher attending. Read, read, and read. Click on links directing you to their website. Read lots, learn stuff. What do they publish? Do you have something that fits their need? Print off the faculty page to circle, highlight, and take notes of those you wish to see. Only make appointments with those people who are interested in your genre, article subject matter, or the idea you are pitching. Positive feedback and requests for your manuscripts are most likely to happen if you’ve done your research. Most of the faculty will have a photo on the site. Having a copy with you will help you identify them between classes, break time, elevators and dining halls. Introduce yourself and briefly pitch your stuff. It’s not being rude. They expect conferencees to pitch to them outside of appointment schedules. List those you wish to have appointments with by order of importance. You will only be allowed to make a few appointments. You’ll have to catch the rest on the fly. Attending panels at the conference furthers your research. Editor A does not list flash fiction for his magazine on his website but during a panel he mentioned he is now looking for it. Tada! You now can add him to your list of who you wish to contact. Look over the samples and clips you are taking to the conference. Decide in advance which ones you want to share during each appointment. Write more samples if an idea hits you while researching the needs of editors. It might be the perfect fit. Be sure it’s your best work. So in conclusion-research, research, research. The more you know the less overwhelmed you will be at the conference. Do you have any pre-conference research tips? Share them please. Want to follow my blog? Click the link on your right. Two great proposal writing books from my library. There are sections in each focusing on writing a synopsis. You’ve made your business card and you may or may not have opted for a sell sheet. Another option is a synopsis of your book. A more complete presentation of your project is a proposal. It is a sell sheet on steroids containing pages and pages of information. Let me give a brief description of these and let you decide if you want to bring them to the conference. A synopsis or summary condenses your entire book content to as few words as possible. The goal of a synopsis is the same as a sell sheet—to get interest in your project during appointments. This must be concise, complete and compelling. You should know your story well enough to tell it without rambling. As you write your first draft, you will probably put in too much detail and it will run much too long. Once it is complete, cut all unnecessary words and rabbit trails. Then trim, trim, trim all words that drag or distract. The synopsis is the first impression of your writing skills so make it stellar. Be sure to have others critique it for grammar, spelling and any other error that give you black marks rather than stars. Try to keep it to a page, no more than a page and a half. A well-written synopsis should promote discussion about your project and you. And ultimately a request for a proposal. A request for a proposal used to mean you handed it over at the conference. Some editors still take hard copies of proposals. Most do not. Email as an attachment is now the norm. Hauling home lots of paper proposals, especially on a plane, is not practical. Often the request will be accompanied by a guidelines sheet. Follow it to the letter. There are lots of books with step by step examples of how to put together a proposal. A proposal has many components. A proposal for fiction has slightly different requirements than non-fiction. Pay attention to details. If you are on a time crunch, put writing the proposal aside as a to-do after the conference, especially if you are a newbie. You will find proposal writing books for sale at the conference. Check for conference class offerings; often how to write a proposal is listed. If you want to take a proposal, you don’t need many—one maybe two. (Again most requests will be for email versions.) The advantage of a completed proposal before the conference is ease of submitting after the conference. Be sure you review the guideline sheet and customize each proposal to match each publisher’s request. (Be sure to send a proposal to each person who asked you as soon as you can after the conference.) You will find that most requests follow the same format, but some may have a few additional components. You might want to create a template to follow for all future proposals. Generally single spaced, 1 ½ to three pages long. Be sure to tell the ending so publisher can see how the story plays out. Single space description written in third person with a photo. Usually double spaced. Always the first three chapters or first fifty pages. Similar books to yours. How yours is the same yet different. Usually this is for non-fiction. An outline gives the publisher a good idea of where you are going with your subject matter. Sometimes a publisher wants a chapter by chapter synopsis of fiction. Include a marking page of what you can and will do to help sell your book. Who are your target readers? Women, young adults, history buffs, theologians? Everyone is not an acceptable answer. Ex: Women who want to get away to pioneer days for the weekend will enjoy this book. Publishers want to know what genre your book falls into. They are always looking for books in genres their company is light in. Here is a short general list. There are lots of subgenres and genre definitions change. Contemporary Romance, Contemporary, Historical, Women’s Fiction, Mystery/Suspense, Romantic Suspense, Young Adult, Children, Science Fiction, Fantasy, Western and the list goes on. For non-fiction you might list Christian Living, Self Help, Devotional, Bible Study, and Health. Your book might fall into more than one category. As you can see, a proposal takes time to put together well. If you are a newbie and your conference is a few weeks away, you might want to forgo the proposal and focus on the summary and other tools. It is better to attend the proposal class, buy the how-to book and get some critiquers to look over your proposal after a request has been made. A well-done proposal following the specific editor’s guidelines has a better chance of getting off the slush pile. If you have time to do a proper proposal in advance of the conference, I would remind you to make it stellar with no grammar or spelling errors. (I know I say this a lot.) Make each word count. Your writing is judged on how well you write your proposal. 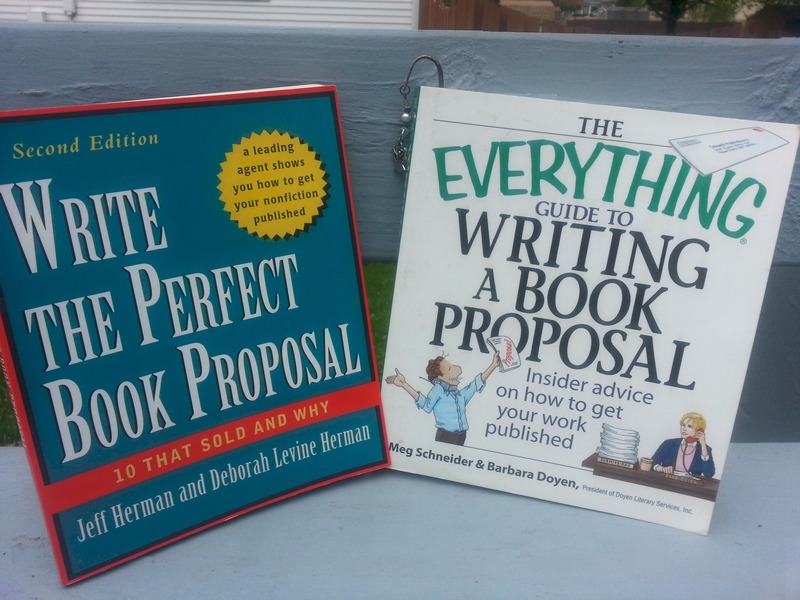 Here are two links to books on writing proposals. Each one has details on synopsis writing as well. What success have you had in sharing your synopsis at a conference? Have you had a request for a proposal? I’d love to hear your experience. If you’d like to continue to follow my blog please click the button on the right. 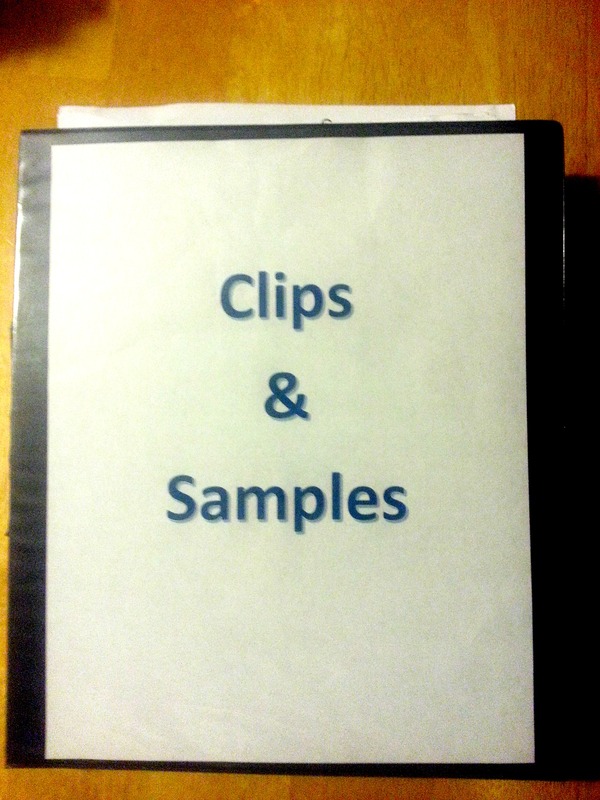 I carry my clips and samples in a three ring binder with plastic sleeves. Clips and samples show the writing world what you can do. Appointments with publishers go smoother when you can show rather than tell what you write. Let me define the two. These are articles, poems, stories, devotionals, editorials, whatever you’ve had published. The term clips refers to articles cut out of magazines and periodicals. Some of your clips might be copies of magazine pages or print offs of website articles. Your most recent publications are best. No need to show twenty year old newspaper clippings. (I really have some of those.) Be sure the date and magazine title are somewhere on the copy. If you have a link to your work, I suggest you share a hardcopy. Wifi access may not be available where you meet with publishers and you waste precious minutes of your fifteen minutes looking for specific clips on your site. If they are interested in your link, you can write the web address on the back of your business card. Samples are unpublished work to show your writing skills. Editors want to see if your style is right for their publication. Some editors want unedited versions. (Not rough drafts, rather items not professionally edited.) They want to see how polished your best work is. Bring only your best samples. You might want to go back over selections and tweak as needed to make them your best. 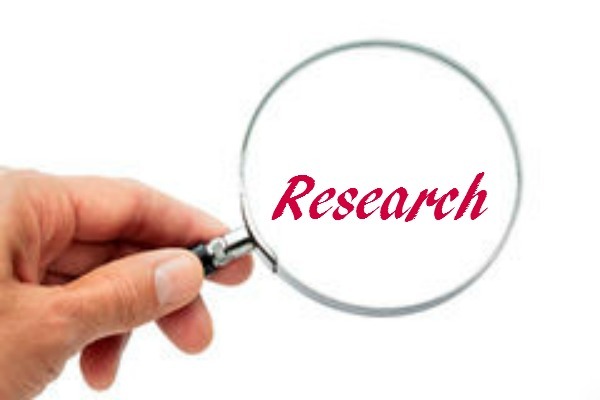 Be sure you do your research about the publishing house or magazine in advance. (I’ll be discussing that in another post.) Only show samples of things fitting the particualr publishers needs. I carry my clips and samples in a three ring binder. Each article is in its own sleeve. I usually have multiple copies of samples. Some editors like to mark up my work. That way I always have a clean sheet to show at the next appointment. The sleeves keep the pages neat. Some people like to bring their laptop to show their work. I find that too cumbersome, and it can give the impression of being unprepared. You grabbed your computer at the last minute because you didn’t have time to print anything off. If disaster happens and your printer dies, it’s worth the cost to go to Office Depot to make copies or buy ink for a friend’s printer, but don’t go without samples or clips. Some like to paperclip their sheets together and keep them in a file folder. Whatever works to keep your papers organized. Let’s see, so far you’ve made a business card, a one-sheet and gathered samples and clips. You’re well on your way to filling your conference tool box for success. In my next post we’ll define synopsis and proposals. So of you haven’t subscribed to my blog you might want to do that by using the options to the right. I plan on covering the how-tos for a successful conference experience before May is over, and I am on my way to the Write-To-Publish conference in June. How do you organize your clips and samples? Subscribe to my blog using the options on the right.